Volunteerism as building blocks for peacebuilding, how does that work? For starters, volunteerism generates forms of social capital that are indispensable to peacebuilding and plays an important role in strengthening the development of national civilian capacities to address peacebuilding issues. The United Nations Volunteers (UNV) programme supports the efforts of using volunteerism as a modality to build peace. On the one hand UNV has volunteers supporting the rule of law and promoting peace and security in the field. On the other hand, UNV is programmatically involved in collaborating with partners using volunteerism as a modality to enhance peacebuilding efforts. In Eastern and Southern Africa, UNV is active in a number of projects, among others in Burundi and Sudan. In Burundi, UNV works with the United Nations Population Fund (UNFPA) and the United Nations Development Programme (UNDP) on a project aimed to support citizen security and social cohesion for conflict-affected youth. The objective of the project is to have a comprehensive interagency approach for social cohesion in the conflict-prone areas of Burundi. UNV supports the project with the mobilization of 100 volunteers who will participate in social cohesion activities enhancing peace and solidarity. An important outcome of the project is to increase inclusive civic participation and participatory dialogues in an effort to sustain peace and generate social cohesion. Volunteerism is the lubricant of social relations and cohesion in the community. Performing acts of goodwill out of a voluntary intention brings people together. This is especially relevant in a country like Burundi, where tribalism and mistrust play a key role in the wider conflict; it is therefore of the utmost importance to bring the society together through volunteerism and support the community to provide the building blocks for a sustainable peace. In Sudan, UNV collaborates with UNDP in the “Youth Volunteers Rebuilding Darfur Project” that places young Darfuri at the center of development in that region. The conflict in Darfur has had destructive effects on lives and livelihoods, and a whole generation of youth has suffered from diminished educational and developmental opportunities. The failure to provide educational opportunities, in combination with youth being cut off from their traditional livelihoods due to displacement, creates a double disadvantage for them. While young people have a great potential to help build peaceful and prosperous communities, the pressure to make a living can become a destabilising factor fuelling violence and criminality. 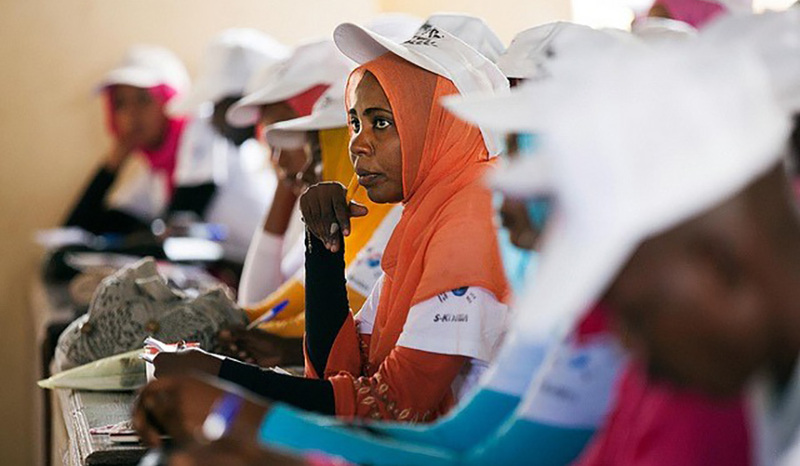 The Project trains young volunteers in key business and environmental skills so that they can then share their knowledge to their local communities, with the goal of rebuilding Darfur in a peaceful manner. The project seeks to ensure that youth in Darfur have opportunities for self-empowerment to support their communities. The project has set up a sustainable volunteer scheme integrated in the national framework. UNV believes that by improving the skills and building new opportunities for youth, they will provide the building blocks to rebuild Darfur. This article has been written with the support of the UNV Programme Officers of Burundi and Sudan, Mr Benjamin Frowein and Ms Isadora Daimmo.